One of the many rivers anchoring the border of Denali National Park as we head on the Alaskan Railroad to Anchorage. 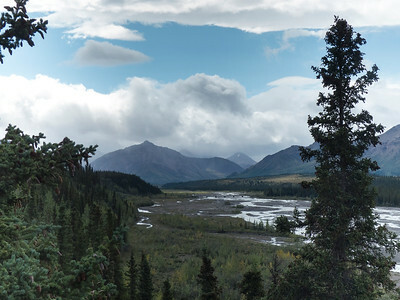 Such an extraordinary view from within the Denali National Park and Wildlife Preserve! Mt. 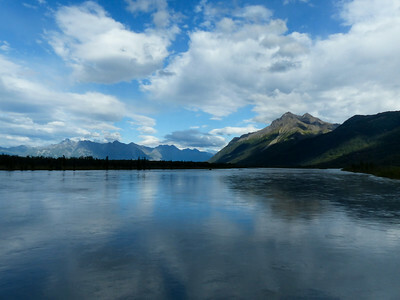 McKinley itself rising from the horizon of the Denali Wilderness area. 20,320 feet high makes it the highest mountain in North America. It is an impressive site when it's head rises above the clouds and gives us a view of it's majesty. 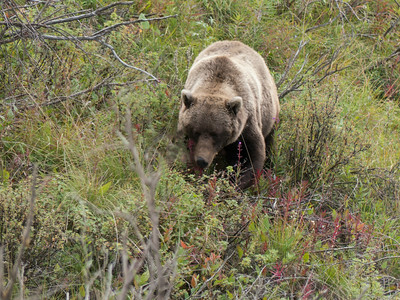 One of our first sightings of the mighty Grizzly Bear in Denali National Park and Preserve in Alaska. 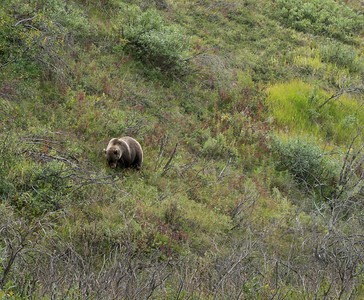 The Denali Wilderness Area is the largest protected area in the United States. 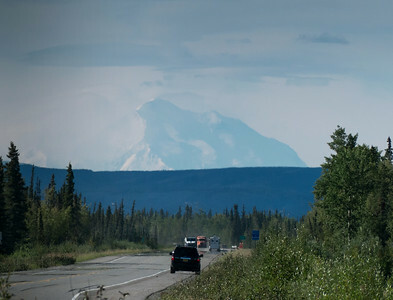 Denali means "the High One" for Athabascan indians north of the Alaska Range. Close up of the lumbering Grizzly bear looking for food. 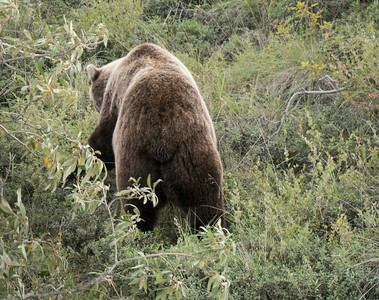 The lumbering behind of the Alaskan Grizzly bear. 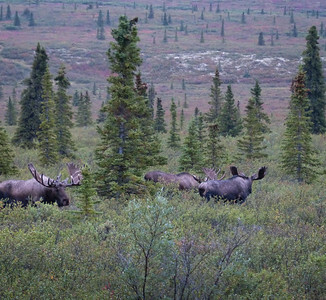 A small group of moose grazing through the grasses and flowers in Denali National Park in the large protected wilderness of Alaska. 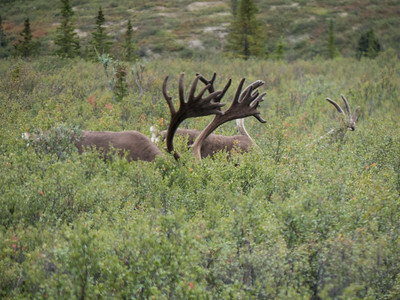 A sneak peak of the many free range caribou grazing in the tall grass of Denali National Park. 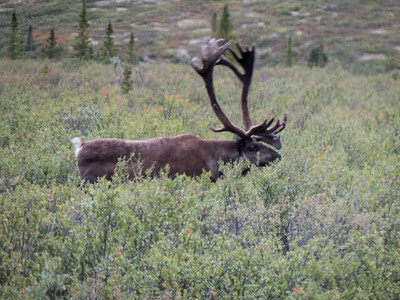 A much closer look of the large caribou in Denali National Park. 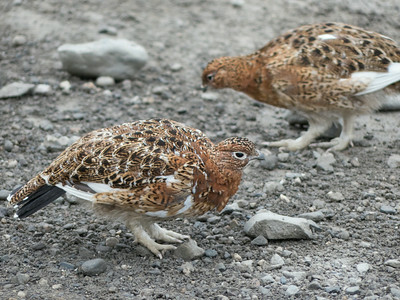 One of the smaller creatures in the big state of Alaska is the Willow Ptarmigan, the Alaskan State Bird. In the winter they are white with black feathers in their tails but in the summer they are typically brown. This bird is part of the sub family of the grouse. A beautiful green reflection from all of the minerals in the glacier lake. 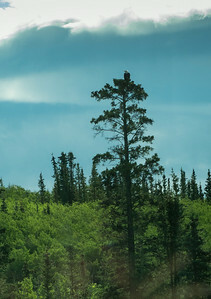 A closer look reveals an American Bald eagle atop the Alaskan Spruce tree. 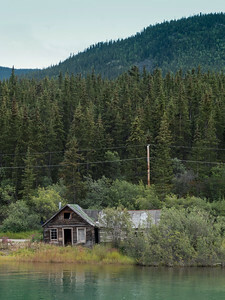 An abandoned house along the many rivers bordering the Denali National Park in Alaska. 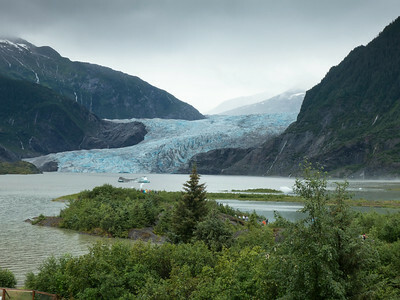 A trip is not complete without a view of the mighty Mendenhall Glacier in Juneau, Alaska. 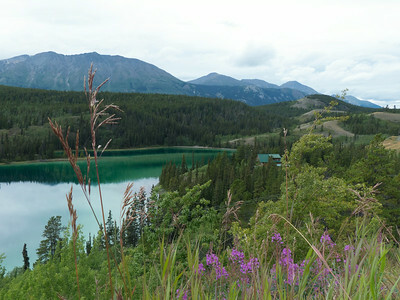 The overcast cloudy day adds another depth of color to the already striking glacier blue. The eerie glow of the close up of the Mendenhall Glacier. The glacier is constantly moving on it's shelf and has rocks and soil in it and picks up many things along the way. Glacial ice is so blue because the dense ice of the glacier absorbs every other color of the spectrum except blue - so blue is what we see. 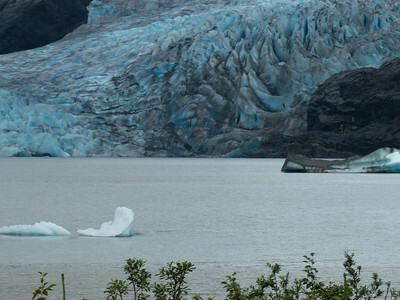 Sometimes the glacial ice appears almost turquoise and casts an other worldly color. Its crystalline structure strongly scatters blue light. The ice on a glacier has been there for a really long time and has been compacted down so that its structure is pretty different from the ice you normally see. Waterfalls would form as the ice and snow looked for a place to run down the mountains. 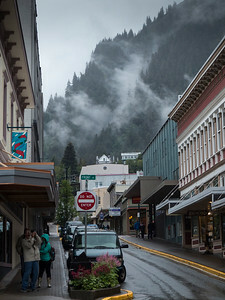 Juneau, Alaska in the clouds and mist. Disembarking from the Inner Passage we come to the port city of Juneau, Alaska. 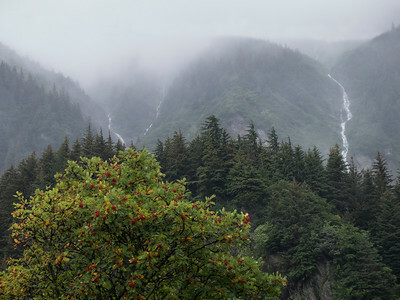 A very cloudy and rainy day we and the hillside were encompassed in the misty clouds. 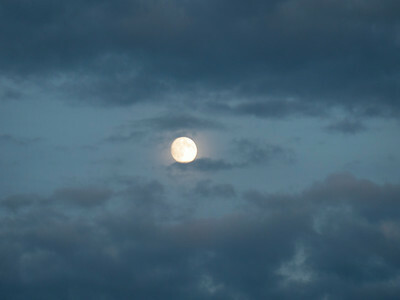 A full moon showing through the clouds even when it is still daylight at 9:00 at night in the summer hours of Alaska.